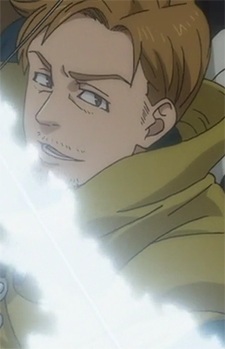 Weinheidt was a member from the group of Holy Knights, Dawn Roar and was the marksman of the team. Weinheidt was a well-built man with a short beard and mustache and wears a set of medieval archer clothing with a small cloak draped around his shoulders. Like the other Dawn Roar members, Weinheidt was willing to kill anybody for the mission. He was faithful to whatever mission his team is assigned to and doesn't care about the motives behind the mission as long as the job gets done, although he can be curious sometimes. Despite the Holy Knights' coup, Weinheidt retains his loyalty to the king along with his teammates when Baltra ordered Dawn Roar to stop Slader from hurting himself, to which Weinheidt complied.